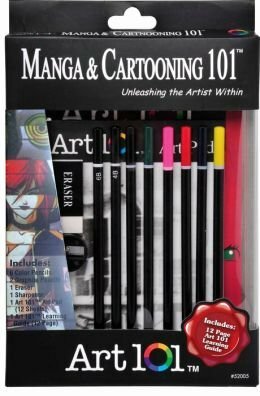 If you love to draw Anime and Manga, you will love these Anime and Manga Drawing Kits for teens and adults to help you set up your toolbox and make amazing anime and manga pictures. The kits have been handpicked for color and quality. 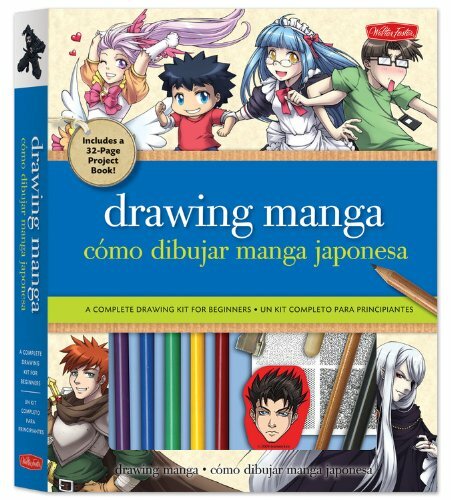 The anime and manga teaching videos show you step by step how to draw anime style art. 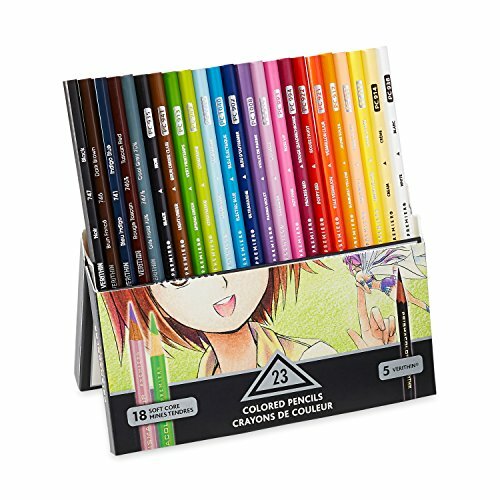 This page is a one stop resource for any anime artist (beginner anime or advanced anime artist supplies). 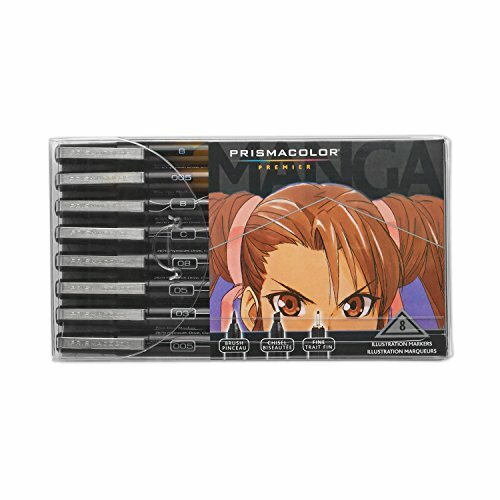 When shopping be certain you buy a variety of colors for maximum ability to blend and gradate for the best 3D looking drawings of all. The featured set (see below) are refillable as well as other amazing features! On the surface, differences between Manga and Anime are quite obvious; Manga exists as words and pictures on paper while Anime is animated. But within this difference, there are several subtle differences between these two forms of art. The first difference between Manga and Anime does not relate to the matter of mediums they exemplify, but rather on the cost of making them. The cost associated with making Anime is substantially more than that of producing Manga. Some Manga are drawn and written by small teams of individuals, while others are produced by sole artists. With regards to Anime, the whole crew is required to create the animation, not to mention musicians, voice actors among others. 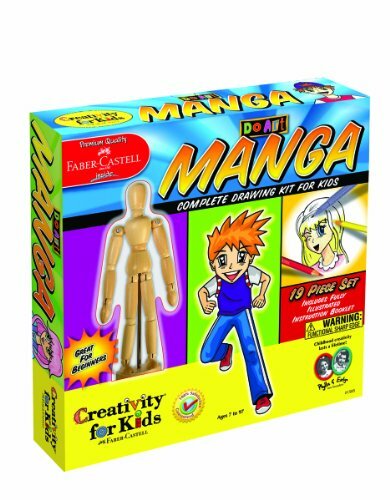 Manga is usually published in the weekly magazines, meaning that its production rate is a bit faster than Anime, which could take several months or even years to complete. 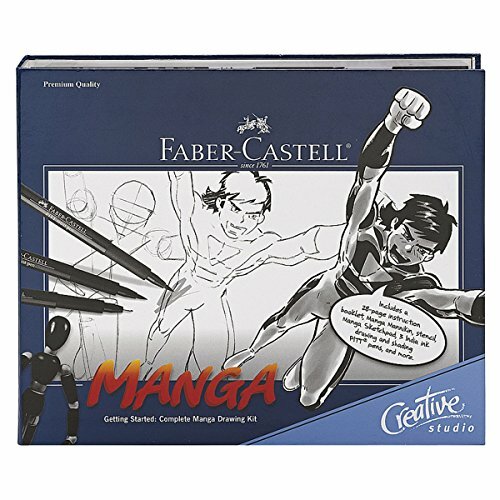 These factor in when considering market aspects of Anime and Manga art. Since Anime takes more resources, effort and time to create than Manga, it’s therefore more essential to ensure that it’s profitable. 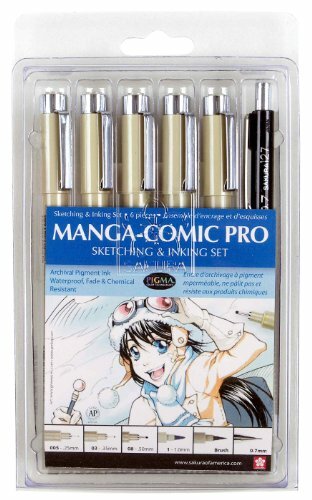 This anime manga drawing kit comes with 8 Manga Ciao markers in muted colors. These are refillable with replaceable tips. Brush tip is amazingly smooth to draw with. Anime style needs to be an ink with a watercolor effect (blends and gradation as if the color was flowing in a shallow pond on the paper). These tips are brush like and create clean smooth lines. 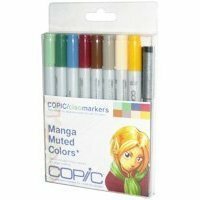 Note: Pair the muted set with the Manga Primary Kit – Copic Ciao Set (8 Marker + 1 Multiliner Pen) for a comprehensive selection of colors in your kit. The second difference between Manga and Anime exist in the form of Anime-to-Manga adaptations. Manga art that has gained much popularity might ultimately be adapted into the Anime form, however, there are usually nuances and aspects of the source material that appear to be lost in the translation. As Anime has to fit scheduling and time constraints, there are some sub-plots, entire story lines and characters that don’t make a cut from Manga to Anime. The best example of this is “Hellsing”, the Manga series. After gaining much popularity in the Tankobon formats and weekly magazines, the vampire and gun tale of the Hellsing was converted into television series. However, since Manga series wasn’t yet completed and the television series didn’t want to move ahead of Manga, a different new story was brought about by Anime that totally ignored antagonists that featured in Manga and a new ending and villain was generated for television series. Although Anime and Manga might appear similar upon surface analysis, a deeper inspection in both forms of art indicates that more differences really exist beyond just how mediums are presented. But, it’s the differences that render each form of art and its experience quite unique. The process of drawing Anime and Manga includes a lot of blending and gradation. This means having a good set of colors and using them in combination to create varied hues of each color. 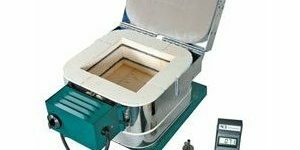 The seemingly three dimensional results are possible because of the gradation (gradual changes in the color’s hue, in other words, the color starts faded and gradually becomes darker). 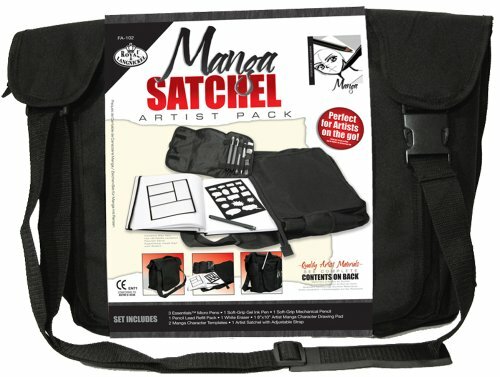 It is important to have a variety of colors on hand and this featured item is available in several color sets. The first step is to look at your most favorite Anime or Manga characters to see how comprehensive they are. Write a long or short description about it. Is it a girl or boy? What type of hair do they’ve? What’s its color? Whatever questions you can ask yourself. Get a plain sheet of paper and then begin drawing. Use the notes or details you wrote to draw. See how it looks? If it’s not detailed enough, you can improve it by editing the bad parts bit by bit. Now compare your drawn picture to the original picture. Do they look similar? Keep on editing till you get the same look. Finally color your drawing. Never go beyond the lines. Just add some shades below the hair and highlights as well in the middle. 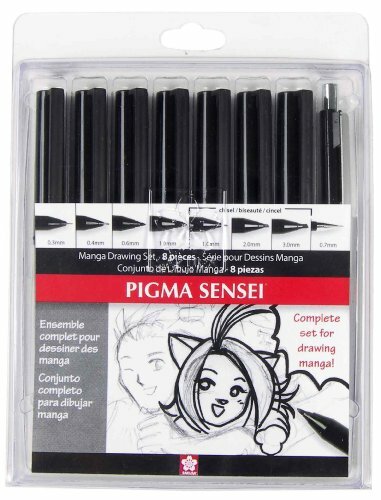 NOTE: Some of the featured videos are using GIMP in the Anime Drawing Lessons. The GIMP is a free software you can download from GIMP.ORG and is free to download, free to use, and there are many GIMP Tutorials and manuals to help you learn how to use the program.